Based in Protaras, Cyprus, Scuba Tech Diving Centre works to combine the best of both Technical Diving and Recreational Diving. Learn to Scuba Dive with five star training from PADI or BSAC, which are both Internationally recognised Dive Agencies and offer a great foundation for Scuba Diving. These certifications will be recognised anywhere in the world. Scuba Tech are currently taking applications for PADI Divemaster Trainees for the Summer 2019 season. If you are interested in becoming an elite diver, helping others to discover and develop their passion for Scuba Diving, spending 8 weeks in the sun to Go Pro, see our Divemaster Internship in Cyprus information page and get in touch. If you are already a diver but want to go a bit further, you can progress to Technical Diver Training with TDI, Closed Circuit Rebreather with the Megalodon or Pathfinder Rebreathers from ISC or even Sidemount Diving. As a GUE friendly Diving Centre, Scuba Tech also hosts GUE courses here in Cyprus, with GUE instructors. The most recent being a Fundamentals class in October, where all students passed with flying colours. To this end, we have GUE standard equipment at the diving centre and offer free Nitrox 32 for all divers certified to use it in their diving and/or can offer training and certification in the use of Nitrox for those not yet certified. More Information about GUE Diving and courses. Cyprus has a plethora of local Shore Dives available and a great many of these sites can be found in Protaras, just a stone's throw from the Dive Centre. From easy entry/exits with gently sloping bottoms for the beginners, to more advanced cliff top jumps for the more adventurous. With Dive depths ranging from 10m to 55m+ at the deeper sites, there is something for everyone to dive and enjoy. We now have SUEX XJoy DPVs here at Scuba Tech Diving Centre that allow us to broaden the number of Dive Sites that we can offer our divers. With the ability to cover more ground over the course of a dive, comes the exclusivity of certain dive sites that cannot be reached by swimming alone. Put your finger on the Trigger and get the Adrenaline pumping with SUEX and Scuba Tech Diving Centre. Let's see those SUEX Smiles. Of course, the jewel in the crown for Cyprus is the Zenobia shipwreck in Larnaca. This ferry went down in 1980 and sits in 42 metres of water at its deepest but the side of the wreck is up at 18m. With plenty to see at all depths in between, the Zenobia is an ideal training platform for all levels of diver and a wreck you cannot miss while you are here in Cyprus. However, the Zenobia is not the only wreck in Cyprus to dive and Scuba Tech Diving Centre also offer regular diving excursions to the wrecks of the Alexandria, the HMS Cricket, Nemesis III, Liberty, Costandis and Lady Thetis Wrecks, which have been sunk all around the Cyprus coastline. Our service is tailored to meet your requirements (and those of your family/friends) on your holiday. As we deal in small groups and one to ones, we have the flexibility to adapt dive times, pick up times and dives to make diving in Cyprus as easy for you as possible. We pick up from many locations on the East Coast including; Protaras, Agia Napa, Paralimni and Kapparis. For a supplemental fee, we can even pick up from Larnaca! In addition to our Scuba Diving, Scuba-Tech Diving Centre, is also a Scuba Servicing centre. Known island-wide for the quality of our servicing: bring us your regulators, cylinders etc and see what all the fuss is about. We welcome Scuba Instructors from any agency, with their own groups for diving and/or Training here in Cyprus. 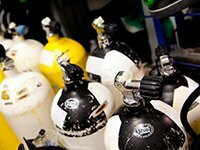 We offer hosting to Divers and Instructors, providing classroom facilities, gas mixes (including Nitrox and Trimix) and Dive Equipment rental/retail with both diving and non-diving logistical support. Scuba Tech can provide full facilities for all diving; Recreational, Technical Diving, Rebreather Divers and we are GUE friendly. Scuba Tech Diving Centre are dealers for top quality scuba diving equipment and sell products from Halcyon, OMS and BTS, Poseidon, Miflex Hoses, Shearwater Diving Products and of course, ISC Rebreather parts. 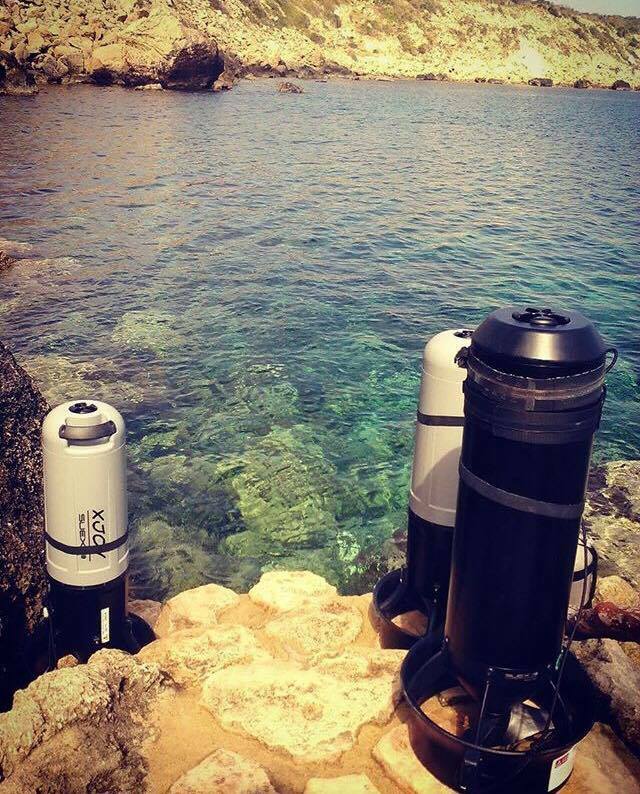 For more information about the diving equipment we sell here in Protaras, have a look at our Diving Products Retail Page. At the Payment Page simply click continue checkout to make your one off payment. Although you are asked for an email address and Password, this is for the transaction only and does not mean that you are setting up a PAYPAL account. Scuba Tech are starting the 2019 dive season with a PADI Sidemount Diver Course. Mounting your cylinders on the side rather than on your bck can help relieve some of the pressure if you suffer from back problems. 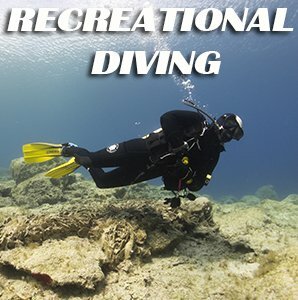 Find more information about Sidemount Diving! The Diving season has already begun here in Cyprus with some safari diving and a PADI Sidemount course. We think this year is going to be pretty amazing and dates are already starting to book up for a mix of courses, wreck diving, shore dives and technical diving. One thing is for sure, life doesn't get boring at Scuba Tech. We will have some work going on in February, as we look to rehome our new BAUER compressor in the Mixing Room. Add to that, the Dive Equipment Servicing that will be going on all through the winter season.! If you want your dive kit in top notch condition for the Summer Dive Season 2019, just drop us a line and drop it in at the dive centre. You can find Scuba Tech Diving Centre on Trip Advisor, so don't take our word for what we offer, read the reviews of other scuba divers from around the world. We take the privacy of our divers and website users very seriously.